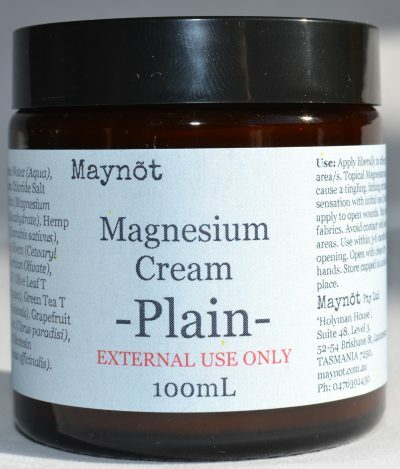 Topical magnesium has been used for aches & pains for millennia, this is an all over body moisturiser, with Magnesium Chloride. Essential Oil free. Ingredients: Water, Magnesium Saturate, Emulsifying Wax, Hemp Seed Oil, Olive Oil, Glycerine, Cetearyl Olivate, Sorbitan Olivate, Grapefruit Seed Extract, Olive Leaf T, Thuja T, Green Tea T, Rosemary Oleoresin. T=Tincture.